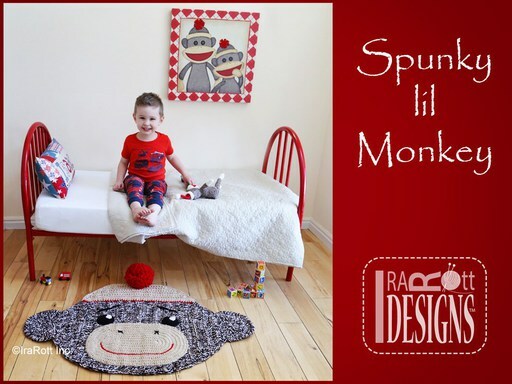 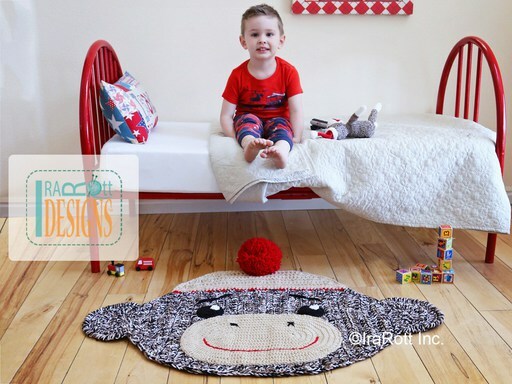 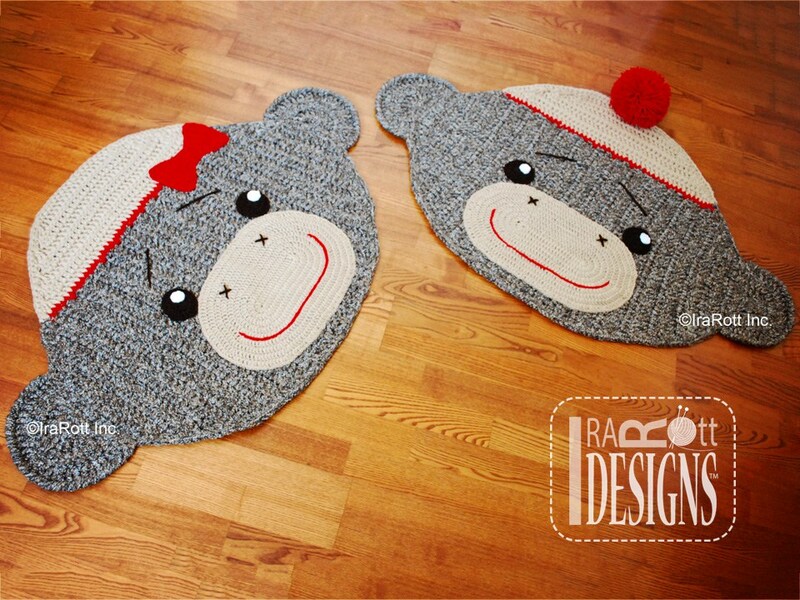 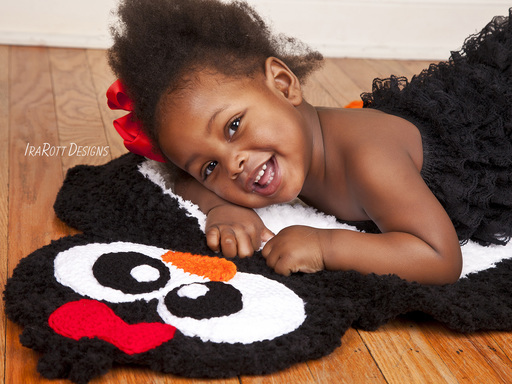 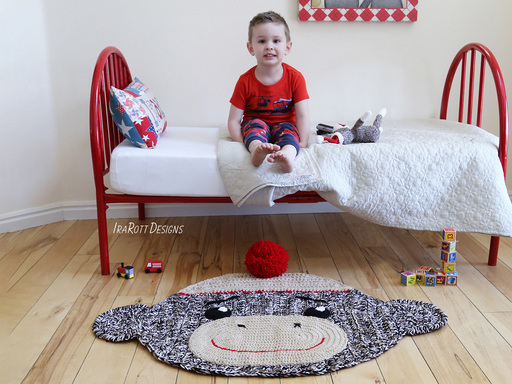 Spunky the Sock Monkey Rug PDF Crochet Pattern - IraRott Inc. 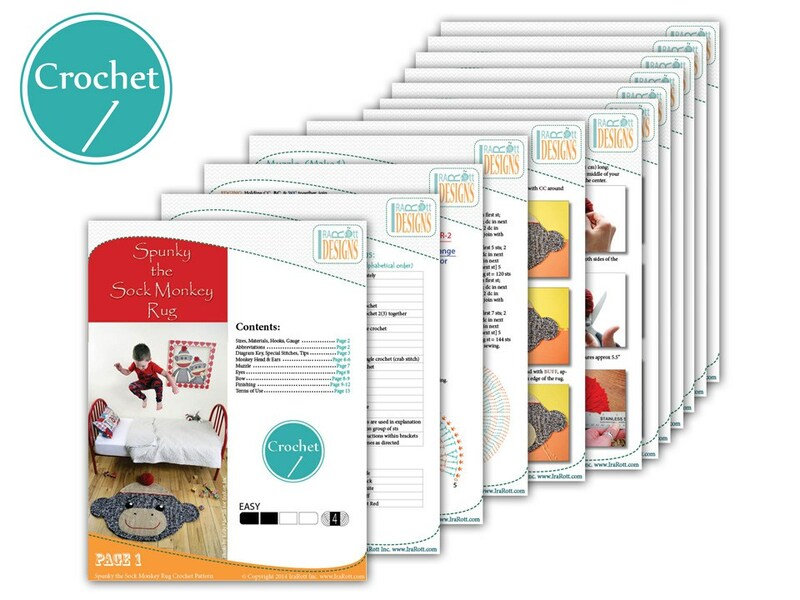 FORMAT: PDF, 13 pages, 4.7 MB (mobile devices friendly). 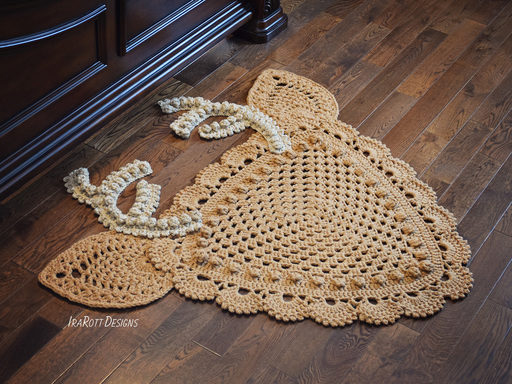 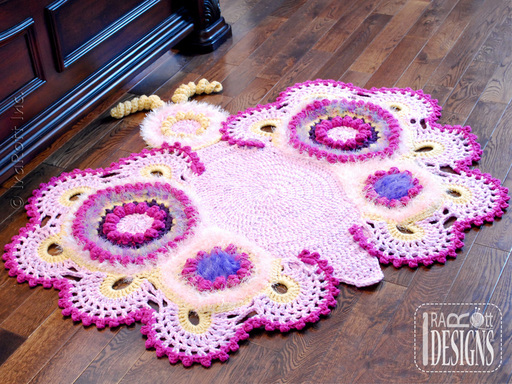 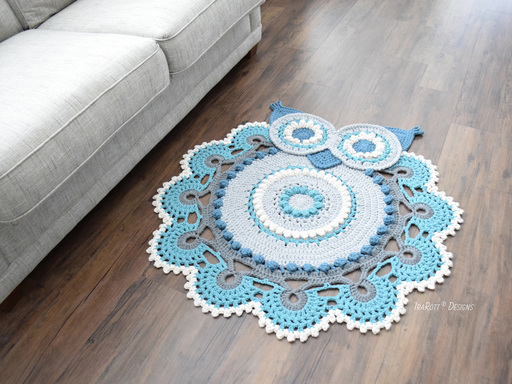 Language - English.The pattern is written row-by-row using US crochet terms, diagrams, step-by-step photos, and instructions for a non-slip lining (easy to follow). 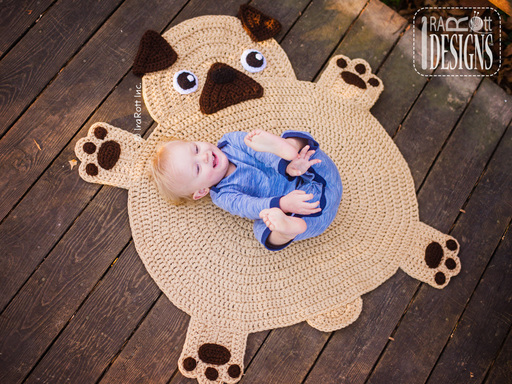 SKILLS: Chain, slip stitch, single crochet, double crochet, crab stitch, working in rows & in the round, increasing, decreasing, sewing. 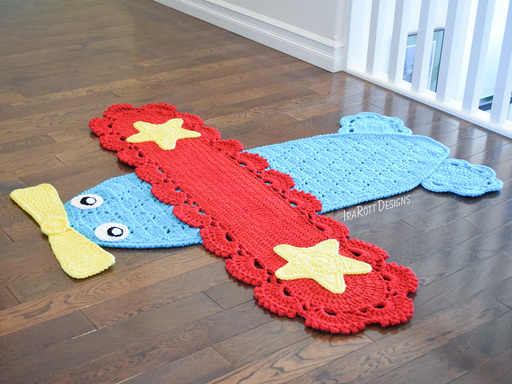 Approximately 43” X 24” (109 X 61 cm). 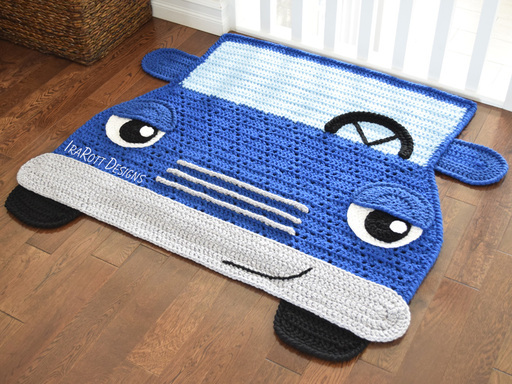 Your finished measurements may vary slightly, depending on the materials used.